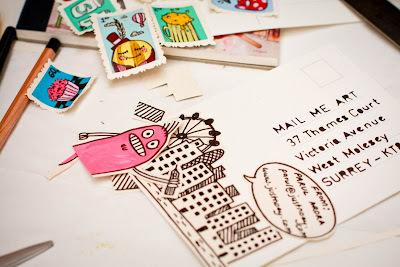 As some one obsessed with anything to do with Postcards, Stamps, Letters I was reallly excited to discover 'MailMeArt' a British based project by Darren Di Lieto. 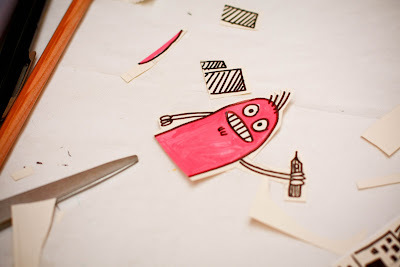 The first MailMeArt brought together loads of illustrators & designers who mailed him a work of art. But the condition was that the actual art has to be on the envelope or packaging mailed. The project was also converted into a beautiful book by the same name. You can buy it here. 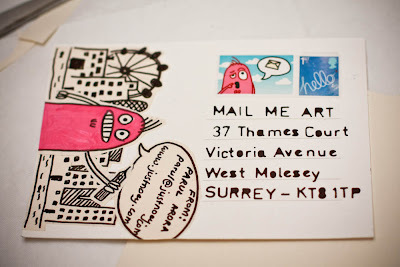 Mail Me Art 2 is now open for submissions and so I decided to send my very own handmade postcard. 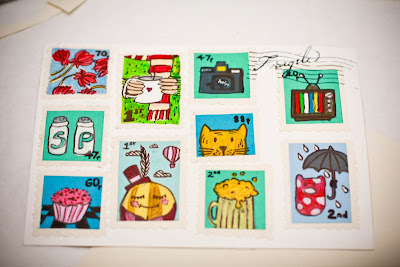 I handpainted all the stamps of some of the things I love. The stamp collage then become the front of my postcard. 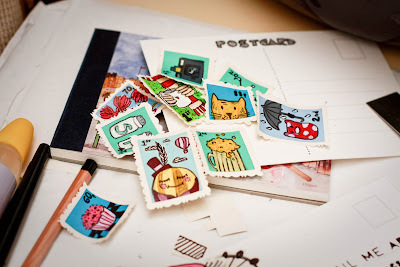 Plus I also got to use my custom stamps that I had created (from Royalmail) a while back.